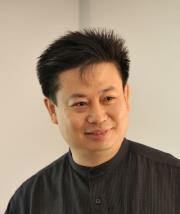 Dr Chin is the President of Malaysia Society of Aesthetic Medicine (MSAM), member of Malaysian Medical Association (MMA) and life member of the Society of Anti-Aging and Aesthetic Medicine Malaysia (SAAAM). Dr Chin is a visiting consultant to the Mahkota Medical Centre, a mulitidisciplinary specialist hospital in the southern city of Malacca. Besides running a successful clinical practice, he is also a much sought after public speaker and trainer, having been featured in RTM, NTV7, Cosmetic Surgery & Beauty, Feminine, Sister, Berita Harian, Sinar Harian, News Straights Times and various organizations and business seminars in Malaysia, Singapore, Australia and Greece. During his free time, Dr Chin spends time with his wonderful family and friends traveling the world and scuba-diving in exotic places.